Sengled Pulse Solo review: You can put a JBL speaker in your lamp. Question is, should you? What’s possible is not always what’s advisable. In 2016, the idea of controlling a light bulb from your smartphone is old hat. Controlling said bulb and streaming music to its built-in speakers is, apparently, all the rage. The $59 Sengled Pulse Solo ($43 from Amazon as of this story’s writing) is one such product. Using Sengled’s companion Android or iOS app, you can control the LED bulb’s brightness and adjust volume as needed. 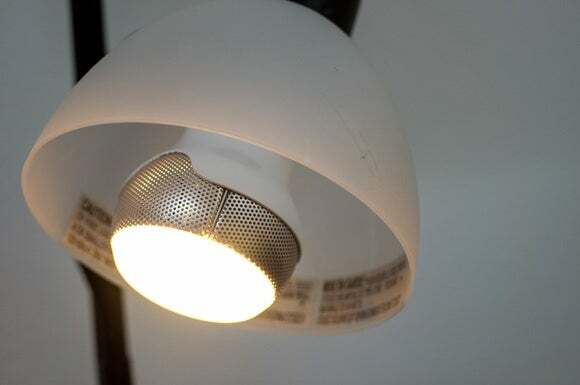 So, is a Bluetooth-connected, 550-lumen (50-watt equivalent), dimmable, warm white (2700K) LED bulb with an integrated speaker you can stream your favorite tunes to all it’s cracked up to be? Kind of. If you’ve ever changed a lightbulb, you’re already a pro at installing the Pulse Solo. Find a lamp with a standard E26 socket—one that’s not controlled by a dimmer and that can accommodate an A66-format bulb—unscrew the older, less capable bulb, and replace it with the Pulse Solo. Each time it’s turned on, you’ll hear a couple of beeps indicating its Bluetooth capabilities are active and looking for a connection. Installing the Sengled Pulse Solo in a lamp with a shade can be detrimental to its speaker's performance. Pairing your phone or tablet with the Pulse One follows the standard Bluetooth-pairing procedures as well: Open the Settings app, go to Bluetooth, wait for your device to find the Pulse One’s Bluetooth signal, and connect to it. I used both an Android and an iOS device to stream music to the Pulse One, with no playback issues. Any Bluetooth connection will obviously restrict you to the service’s limitations, such as distance and interference, but as long I as remained in the same room as the Pulse One, playback was fine. There are two methods for controlling the volume level. First, you can use the volume settings on your device, just like you always do. As you adjust up or down, the change is reflected on the Pulse One. Second, and more laborious, you can adjust the volume in the Sengled companion app. Over my week of using the Pulse Solo, I grew frustrated with having to go back into Bluetooth settings and reconnect to the speaker each time I left a room. If the speaker relied on a Wi-Fi connection, this frustration point wouldn’t be an issue. Two JBL drivers incorporated into the bulb provide true stereo sound. I desperately wanted to say the speakers in the Pulse Solo sounded amazing, with crystal-clear sound. Unfortunately, despite the presence of dual JBL drivers, overall sound quality is lacking. Testing the Pulse Solo in two different lamps with vastly different lamp shades, I found the overall sound echoey. Sound quality improved when I removed the lamp shade from the second test lamp. As you might expect, the echo all but disappeared. But this is a light bulb, one that's designed to be installed in a floor or table lamp, the vast majority of which have some sort of cover. 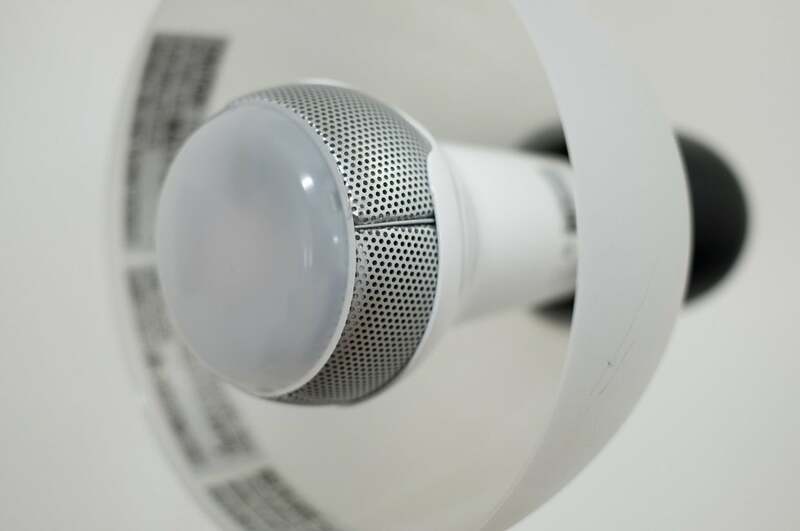 You should also be aware that the Pulse Solo cannot be used in a fully enclosed fixture, but that’s to be expected considering it’s also a speaker. Using Sengled app, you can adjust the bulb’s brightness using a slider in increments from 0 to 100. Sliding your finger over the semi-circle controller increases or decreases its overall brightness, including turning the light off altogether without stopping music playback. Remember, though, that this is only a 550-lumen bulb. If you’re looking for something to illuminate a large room, this might not be inadequate. 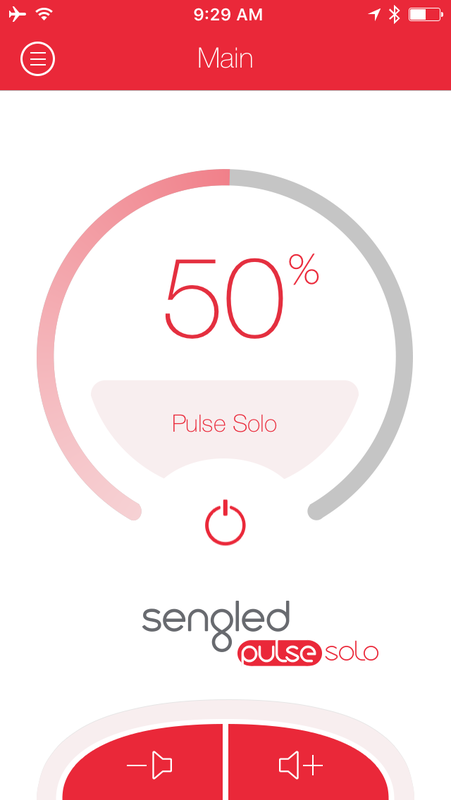 The Pulse Solo is dimmable, but only via the app. You can't use the bulb in a socket controlled by a dimmer switch. Given my frustration with constantly reconnecting my device after leaving the room, you’d think the same would occur when trying to adjust lighting, right? Wrong. From what I found, you can control the light just by launching the Sengled app on your device and waiting for it to find the light. In other words, you can open the app, turn the light up to full brightness and go back about your business without the need to open Bluetooth settings and reconnect to the speaker on your device. This also means more than one device can connect to and control the lightbulb’s settings at the same time, yet only one device can connect to the speaker at a time. I’m not sure. I think if you’re not a big audio buff and simply want a way to listen to music without deploying a speaker that won’t consume any space on your desk, tabletop, or floor (dry locations only, so don’t get any ideas about installing it on your porch, near your hot tub, or anywhere it might be exposed to rain or liquids), the Sengled Pulse Solo will do a good enough job. The fact that it’s dimmable (via the app only), you don’t need to worry about running a power cord to it or recharging its batteries every time you want to play music are bonus points. Just walk into the room, turn on your light, connect your phone, and you’re ready to rock. But if you care at all about music, you’ll be happier with a more conventional speaker. 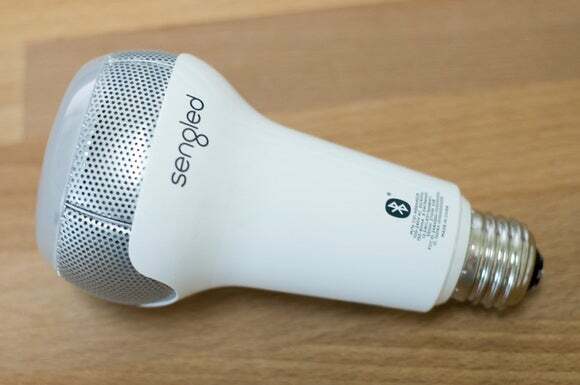 Sengled’s Pulse Solo is part LED bulb, part speaker, and very easy to set up; yet, despite the presence of JBL speakers, its sound quality leaves much to be desired.